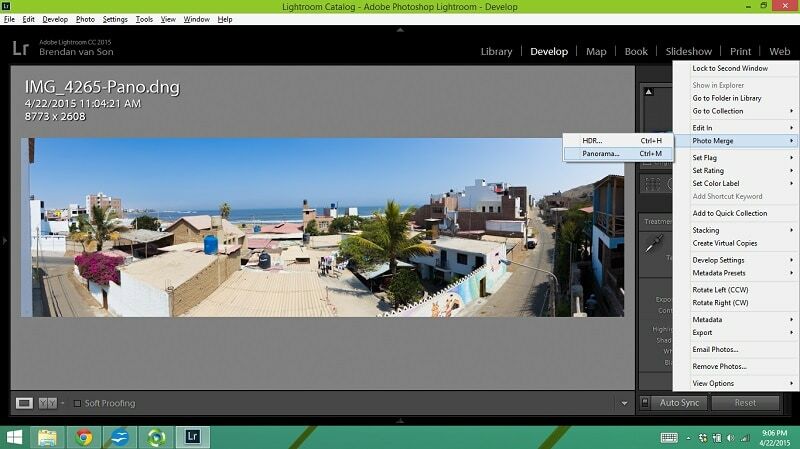 We interrupt our usual travel photography adventures for an announcement: Lightroom 6 (CC) is now available. So, if your photographer missed your wedding, portrait shoot, or news assignment, you know where to find them – at home playing with the latest features. After struggling with the download a bit (and by a bit I mean a lot), I got Lightroom 6 – also called Lightroom CC if you’re on the Creative Cloud program which is $9.99 a month – last night and immediately went to work with some of the different tools. I went scanning through to find some of the newest features, and test them out. First impressions are really good. It seems faster, and a couple of the new tools seem fairly useful to a lot of people. Is it a massive change? No. But I think it definitely warrants and upgrade from 5. First, let me talk about the issue I had. And, let me tell you that it wasn’t only me. As soon as I posted my problem on twitter, a couple dozen people started sending me messages saying they were having the same problem. This is what happened and how I solved it. I downloaded the upgrade to Lightroom in the Creative Cloud app. Then, the program had created shortcuts within my computer and on my homepage. Easy, right? But, when I clicked on the icons for Lightroom 6, nothing happened. The program just never opened. The solve was fairly easy. In the Creative Cloud App, I simply had to go into the wrench, go to preferences, log out, and then log back in. I did that twice (since it didn’t work the first time), and magically it started working properly. I’m assuming it’s a protection against pirated products, but I really don’t know. Anyways, once I got that all sorted, I shot a video with my thoughts and a bit of a review of Lightroom 6. This is a feature a lot of photographers seemed to get most excited about. I’m not an HDR guy, so it doesn’t do much for me. However, if I was an HDR shooter, I’d love this. 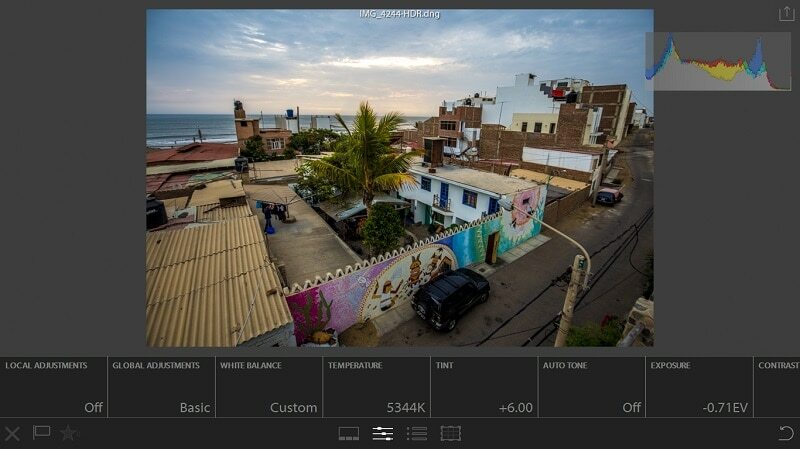 Right in Lightroom, the new HDR Merge allows you to blend 3 images into a dng file. That means that the file that the HDR processing spits out is really quite editable. I played around with this a lot, and though you don’t get massively over the top HDR photos like some people like, the quality is extremely high. To do this, select all your HDR exposures in the file bar on the bottom. Then, right click on one of them and go up to “Photomerge” then HDR. Or press Ctrl+H on a PC or Command+H on a Mac. Though I might not use the HDR option in Lightroom 6, the panorama merge is something I’m glad is here. I like shooting panos, but I hate having to jump between programs. The panorama builder is very simple, and produces really clean panos. This is a cool new tool in the develop module of Lightroom 6, but I think they missed getting it right. Now, within the gradient filter tool, you can also select a brush so you have both masks in one. It’s fantastic if you’re trying to brighten a foreground of a city and there horizon isn’t consistently flat. However, I would have preferred they also have an option to “de-mask”. For example, if I wanted to put a gradient filter on the horizon to darken the sky, but there was something obtrusive along the horizon that was painted too dark by the horizon, it’d be nice if I cool paint out the mask from that region. **EDIT: I’ve been told, thankfully, by people over on YouTube that it IS possible to do an erase brush. You just toggle the brush from + to – and it’s sorted. So, that’s fantastic! This is really cool for a certain genre of photographers. However, as a travel photographer it doesn’t really do much for me. However, if I was a studio photographer, or a portrait or wedding photographer, it would be really cool. 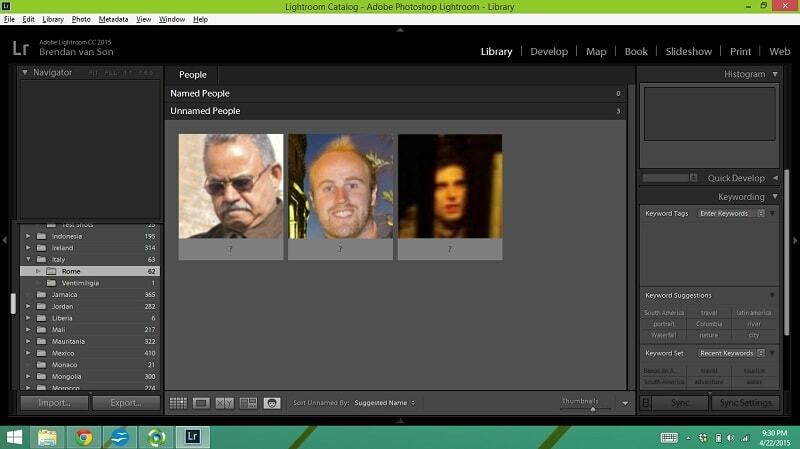 Basically, Lightroom 6 can buzz through your photos and recognize people who you put into the system. It’s smart tech that allows people to really quickly tag their images as well as find images of certain people. 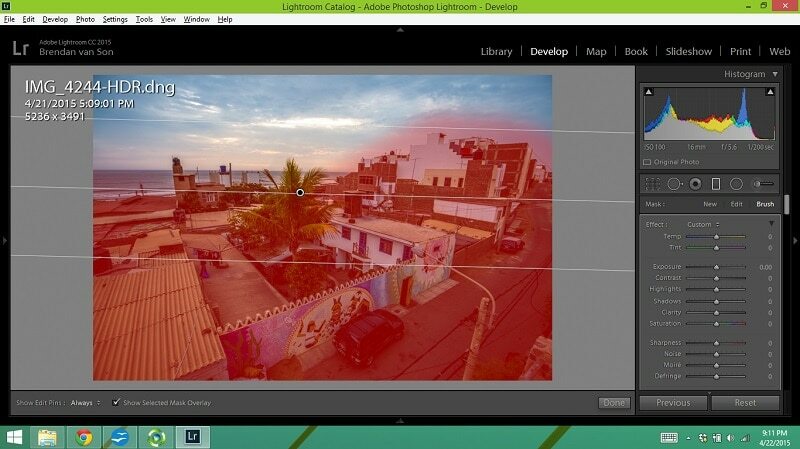 Since a lot of laptops are going “touch”, and a lot more people are using high-powered tablets to edit their photos, Lightroom has added a “Touch Workspace”. The workspace itself shows a larger photo, and you can create almost all the same adjustments as in the regular format. Personally, it’s not something I’ll really use unless I’m on a bus or restricted in my movements a bit. But, for those people that use tablets for their photo editing, this is awesome. 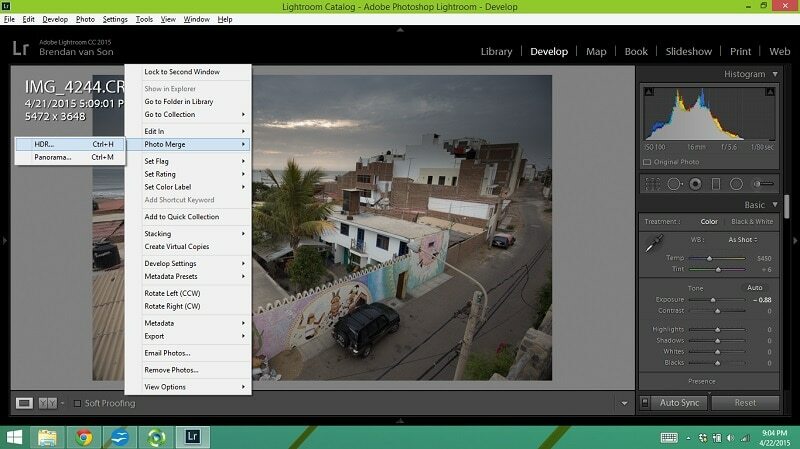 In my opinion, a very welcome addition to Lightroom. Note: This is available only on laptops that have touch capabilities. I’ve been told by a number of Mac users that it doesn’t exist on their laptop. 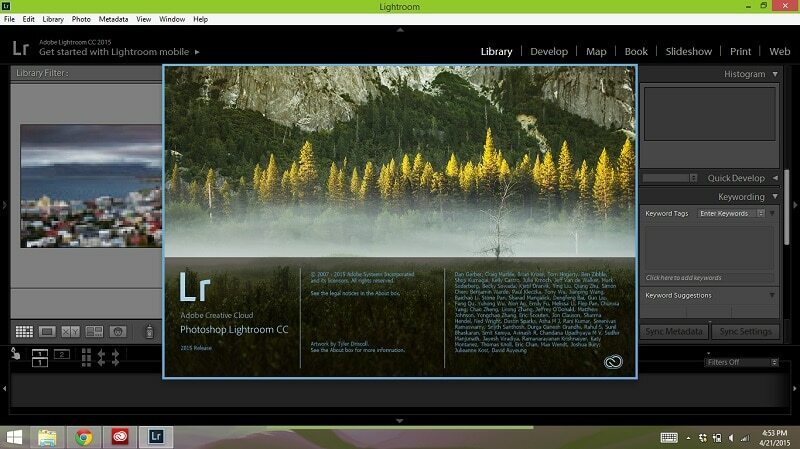 For me, this was the 1 and only thing that made me need to upgrade from Lightroom 5 to Lightroom 6. My computer is slow. It’s not high-end. As you know if you read my article on PetaPixel the other day, I don’t have a lot of money to spend on high-end laptops. Lightroom 6 is quite a bit faster. After messing around with it for 24 hours, I’ve found that there’s no lag to specific edits, and the basic functionality is faster. Hell, it’s even faster importing photos. But, where I really notice the difference is on the export. It feels like it’s at least 50-60% faster than before. I like the update. No, it’s not overwhelmingly different and there’s nothing that’s going to revolutionize the world of photography. And, if you don’t shoot HDR or panoramas, there’s really no new toys for you aside from facial recognition. However, the speed increase alone makes this worth the upgrade from 5. As a professional photographer, time is money. If I can save time in my editing process because the program is faster, that’s likely the most important thing. As for the touch option, this will be a huge welcome by people using tablets. Personally, I’m a fan! Next up, I’m in the Otavalo Market in Ecuador trying to take some portraits of the beautiful people. Then, it’s off to Banos de Agua Santa for a little bit of adventure. Stay tuned!